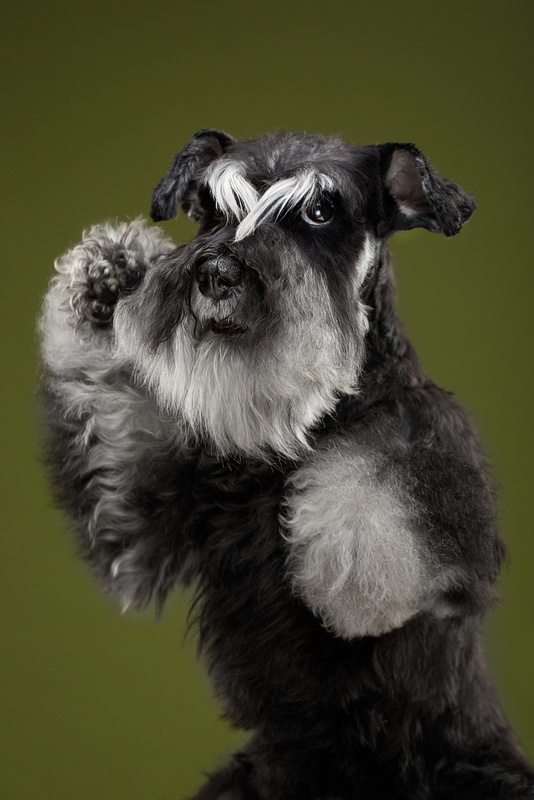 A funny studio portrait of Chika, miniature schnauzer. "Wat arrre ye lookin' at? Keep yerr eyes to yerrsel, laddie. You don't want none of this!"